(Charleston, WV) The West Virginia Golf Hall of Fame revealed its first ever inductees in 2009, when the incomparable pair of William C. Campbell and Sam Snead were enshrined as the inaugural class. 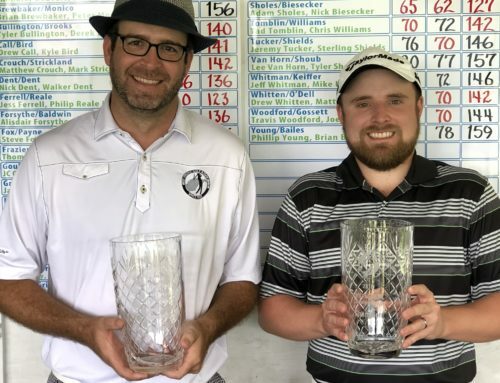 Since that time an impressive list of those who made a profound impact on the game of golf in the Mountain State have been honored. 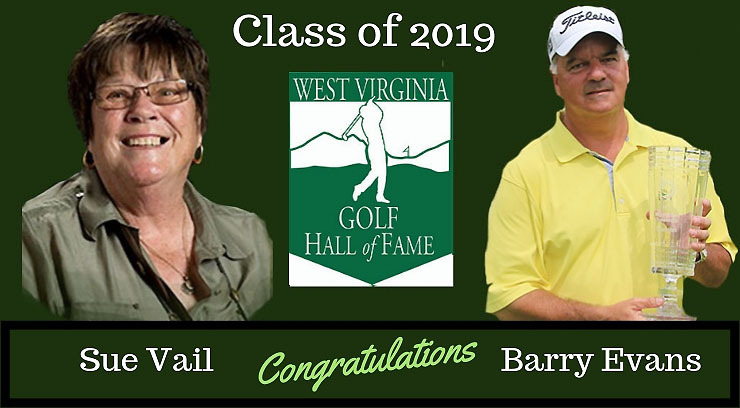 The West Virginia Golf Association is extremely excited to announce the 2019 class of the West Virginia Golf Hall of Fame. They are Barry Evans of Charleston and Susan Vail of Wheeling. They will be enshrined in ceremonies conducted later this year and join 17 others as recipients of this prestigious honor. Barry Evans was a stand-out player at Ramapo College of New Jersey which included a First Team All-America selection in 1982 and a Second Team All-America selection in 1983. He also qualified for the 1983 U.S. Amateur Championship at North Shore Country Club in Glenview, IL. Evans became the Assistant Golf Professional at Berry Hills Country Club in 1991 and ascended to Head Golf Professional soon after, a title he still holds to this day. In 2002 he won the National Club Pro Championship at Valhalla Golf Club which entitled him to an exemption into the 2002 PGA Championship. “This means a lot to me, said Evans, I love playing the game and appreciate the Golf Association very much for this honor.” Evans continued his stellar play in the following years and earned a spot back at the PGA Championship in 2006. 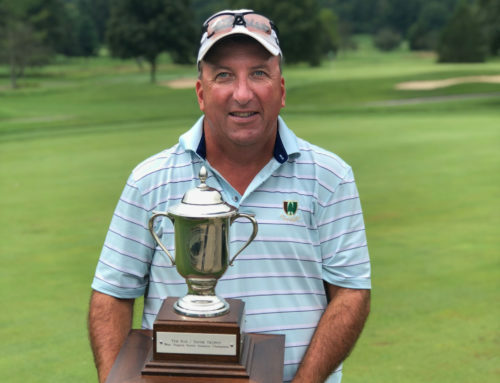 His decorated playing career in West Virginia includes winning the 2008 West Virginia Open Championship at his home club of Berry Hills Country Club, Tri-State PGA Championships in 1998, 2008, 2009, 2010 and participating in the inaugural year of the PGA Tour’s Greenbrier Classic. 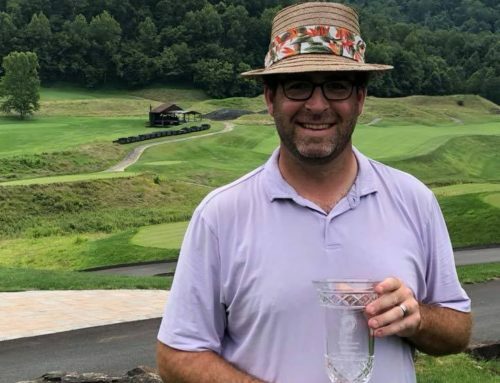 He has been a fixture in the West Virginia golf scene for over 25 years, providing leadership and helping grow the game through his commitment to not only his home club, but to all of golf in the state. Sue Vail had an esteemed playing career in West Virginia which includes eight West Virginia Women’s Amateur Championships (1976, 1984, 1985, 1988, 1989, 1992, 1993 & 1998) and six consecutive West Virginia Women’s Senior Amateur Championships (1991-1996). She also represented West Virginia for more than 20 years in the Women’s edition of the Virginias vs Carolinas Team Matches. “I’m honored to be a part of this Hall of Fame, said Vail, this news has truly made my year and I am very grateful.” Away from her playing career Sue has been a past committee member for the US Girl’s Junior Championship and is a member of the US Senior Women’s Golf Association. 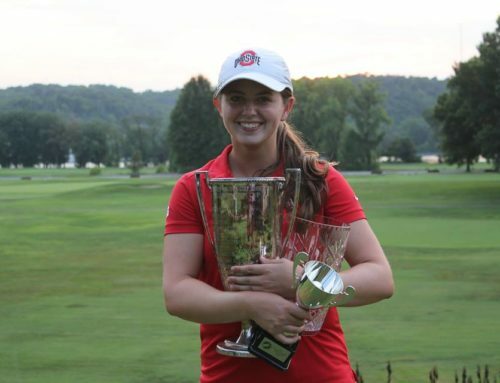 In 2003 Ms. Vail started the women’s golf program at Wheeling Jesuit University, became its first coach and continues to holds that position today. In her time at Wheeling Jesuit, Vail’s teams have racked up four conference titles and she has been named Conference Coach of the Year on three occasions. While having an amazing performance record on the one hand, Sue Vail has been dedicated to growth of women’s golf in West Virginia. Her efforts off the course in support of the game have been remarkable. The West Virginia Golf Association is dedicated to promoting and preserving the game of golf in West Virginia. The Association was founded in 1913 as the West Virginia District Golf Association. The Association’s membership consists of 85 Member Clubs and over 11,000 individual golfers throughout the state of West Virginia. 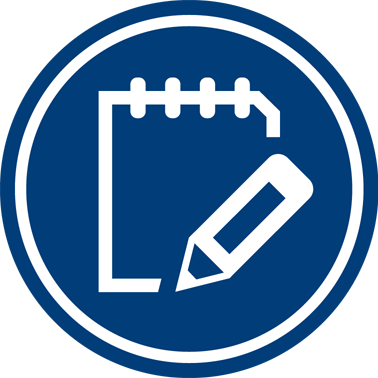 The WVGA serves as a central source of information for Member Clubs in addition to providing USGA Core Services such as Handicapping, Course Rating, Championships, Rules of Golf, and Amateur Status. In addition to these Core Services, the WVGA also administers The First Tee of West Virginia and one day events for Men, Women, Juniors and Seniors. It is the privilege of the Association to protect its rich history of golf in West Virginia through the honoring of our deserving men and women into the West Virginia Golf Hall of Fame. 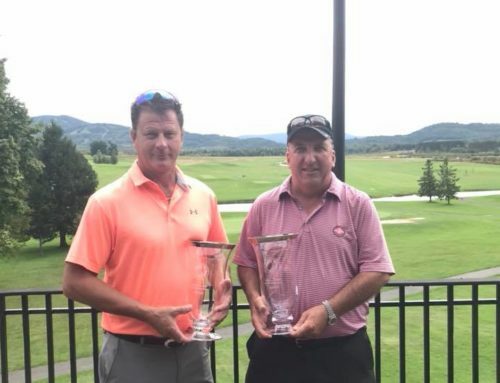 For more information on the West Virginia Golf Association and the West Virginia Golf Hall of Fame please visit us at www.wvga.org and on our various social media platforms.